THE INSIGHT TRAVEL STORY- AMAZING VACATIONS. The INSIGHT TRAVEL story begins with Mr. Bob Ashworth, a former Volunteer Services Organization,(VSO) Field director for Ghana. After living in Ghana and realiZing that the best way of experiencing Ghana was to be in the company of Ghanaians, he set up Insight Travel in Preston. UK. Refer to lonely planet travel survival kit, 2nd edition, page 301. 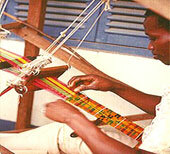 Ghana The Bradt Travel Guide, 3rd edition, page 274. After Bob left Ghana, the Kyereme family took over the management of the company and through the company many people from all corners of the world have had the opportunity to visit and experience Ghana. Registered in the state of California as Insight Travel & Educational Services, we continue to organize customized individual and group vacations to Ghana all year round. We believe tourism must make sense for the tourist. It is easy to provide excellent accommodation and food, but it becomes memories soon. Life long friendships formed remains forever and that is what we specialize in providing. 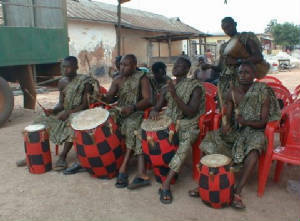 We are able to organize for you drumming, dance, language and textile printing lessons. The opportunity to share with the Ghanaian society your strength skills and knowledge as a volunteer can also be arranged for you. Our trips are suitable for people of all ages and all backgrounds. Because we do specialized tours we tailor your day trips and activities to suit your age and health. Seniors,couples and women have especially enjoyed our packages. Below is a sample of what some of our previous guests wrote in our visitor's book. I would just like to say thanks to you and your team for providing my son and myself with an exceptional holiday in Ghana. This has to be one of the best holidays that we have taken. We would like to commend both Martina and Tony for all their help and for looking after us during our stay. Overall I can say everything went off without a hitch and the entire tour provided us with a good mix of culture, history, wildlife and much more. I will be recommending Insight Travel to family and friends planning to visit Ghana and I hope I will be able to use your services for future visits - I would be particularly interested in visiting the north of the country. I do hope both you and your families are well. I wanted to thank you both for arranging our bus hire in such a friendly, efficient and professional way. Everything worked perfectly, thank you! I look forward to working with you again in the future, but in the meantime I pray for health and happiness for you both. We have had the most wonderful time, truly the experience of a life time and one that will live with us for ever. We certainly fell in love with Ghana and it was wonderful to see the places and meet the people. Everything worked out exactly right. When you arranged a driver for us we had no idea what that little word "driver" actually meant. Godwin was fantastic. His skill in coping with all the different roads and traffic was beyond compare. On top of that he was kind, caring, always concerned for our welfare and nothing too much for him. He was a wonderful source of knowledge and had a lovely sense of humour. He really did make the trip for us. Please pass on our very grateful thanks to him. The hard part is now adjusting back to English life! Thank you so much for all your help in arranging this trip and for coping with all our questions! 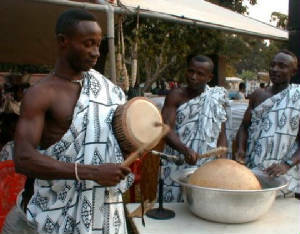 We would have no hesitation in recommending Insight Tours to any one wanting to visit Ghana. Andy, Wendy and Anna Bryant August 2007. We had an amazing holiday - quite an unforgettable experience. It was lovely also to meet your family. They were very welcoming and hospitable. Do pass on our thanks to them. Martina and Godwin looked after us beautifully. We feel we have made so many good friends in your lovely country. Thank you for everything. Please use our names to recommend your holidays to any future clients, if you wish. We had a fantastic trip to your country. Thank you very much for all your help organising it. We learnt so much about Ghana. Martina was a delight and very helpful and we had a great time with Godwin driving us around. It was also a pleasure and an honour to meet your parents and stay in their home. I will recommend your company to anyone planning to travel to Ghana, and I will recommend Ghana as a top destination in Africa. Been meaning to email you, sorry for the delay.The trip you organized was amazing. Insight, particularly you, did a fantastic job. You family were amazing people and the driver Johnny was superb. I would recommend Johnny to ANY traveler, he was professional and wonderful. All the places you picked for us to stay and see were great. I appreciate all your work.I have submitted a review with tripadvisor.com on insight as well. Should be posted in the next few days. 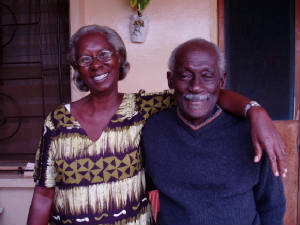 Michael and Jane Dennis, wrote, "Ghanaian hospitality at it's best. For Jane after 20 years away it was a dream comes true to return. For Michael, on his first visit, it was a fascinating new experience. Agnes- your vegetarian Ghanaian food was excellent. Thank you very much." 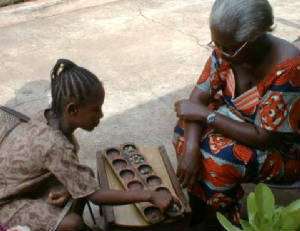 Mary Mullaney & Daria, wrote " We loved meeting Nana and Maame, they are unforgettable Thank you Maame and Nana. So wonderful to have new friends..
Where ever you are, whatever your age and needs, you must experience our packages to add your comments to the growing list. Don't be left out. Our trips are available, all year round so contact us.